Rev. H.B. Charles Jr., pastor-teacher at Shiloh Metropolitan Baptist Church of Jacksonville and Orange Park, Florida, will deliver God's Word during the Worship Service at Proclaim 19 on March 28 in place of John MacArthur, who will not be able to participate as planned after being diagnosed with a throat infection requiring him to clear his schedule of preaching, speaking, and recording responsibilities. In addition, former Governor Mike Huckabee, host of Huckabee, is scheduled to join the "Future of Television" panel during the NRB TV & Film Summit on Wednesday, March 27, and will speak later that evening at the invitation-only Media Leadership Dinner along with Michael Klausman, president of Television City Studios. Prior to joining his present church, Charles led the Mt. Sinai Missionary Baptist Church of Los Angeles for almost 18 years. Succeeding his late father, he began on his pastorate at Mt. Sinai at the age of 17 – a senior in high school. Outside of his ministry to and with his congregation, Charles regularly speaks at churches, conferences, and conventions around the country, and he is also the author of several books. Mike Huckabee is the host of the TV show Huckabee on TBN each weekend and is a Fox News contributor, NY Times best-selling author of 12 books, and a frequent speaker for corporate, civic, and non-profit groups all over the world. He was the 44th Governor of Arkansas from 1996 until 2007, becoming one of the longest serving governors in his state’s history. He ran in 2008 and 2016 for President, finishing 2nd in the Republican primary in 2008. 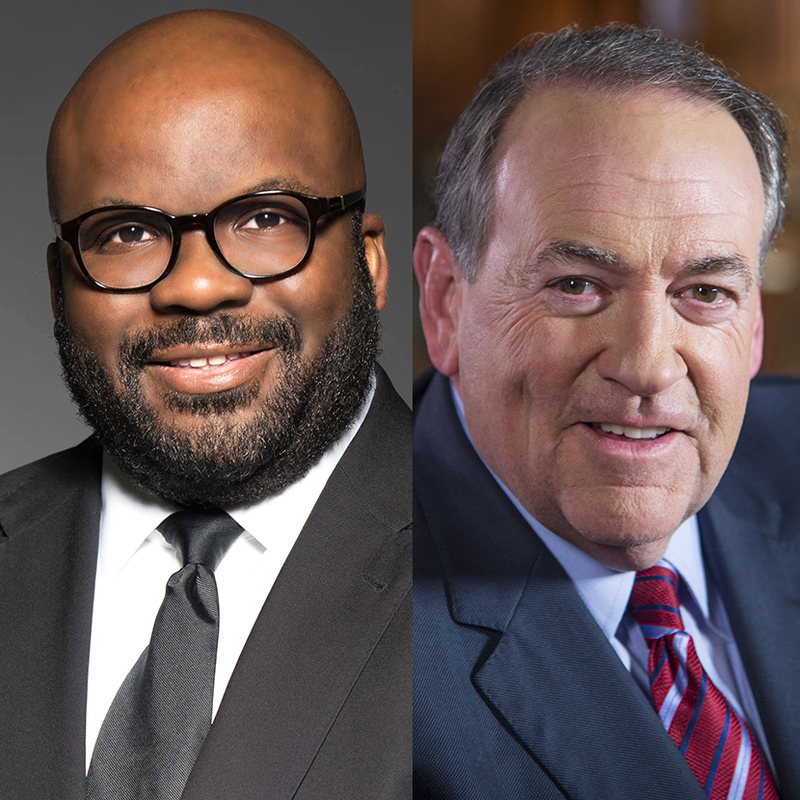 At Proclaim 19, Charles and Huckabee will be among the more than 100 speakers, including Greg Laurie, Priscilla Shirer, Rick Warren, Ambassador Sam Brownback, DeVon Franklin, Alex Kendrick, and Jon and Andy Erwin, among many others. The emcees of the Convention will be twin brothers, authors, and entrepreneurs David and Jason Benham. For the Proclaim 19 full list of speakers, schedule, hotel information, sponsorship and promotional opportunities, space and event reservations, registration, and more, visit nrbconvention.org. For questions related to registration, contact Theresa Ann Gebhardt at tgebhardt@nrb.org or call 202-849-8444. To register as an exhibitor or sponsor, email nrb@pcm411.com or call 212-460-9700. Also, for opportunities to sponsor and/or exhibit at Proclaim 19, contact Jim Buckley (jbuckley@pcm411.com, 203-502-8283) or Joe Nemchek (jnemchek@pcm411.com, 203-502-8338). Affiliate inquiries, including requests for hospitality lounges and lodging suites, can be directed to Beth Wakefield (bwakefield@nrb.org). To save up to $100, register by March 24. After March 24, rates for a full registration will go up by $100.